Good afternoon! I hope you are all having a wonderful day! Today I have a pretty amazing product to share that I discovered while attending Cosmoprof this year. Votre Vu is a French skin care and cosmetic line that offers a wide range of products. Votre Vu use tons of natural ingredients that are sure to make you smile and your skin soft. The one product that really caught my eye is the Bébé Duette. 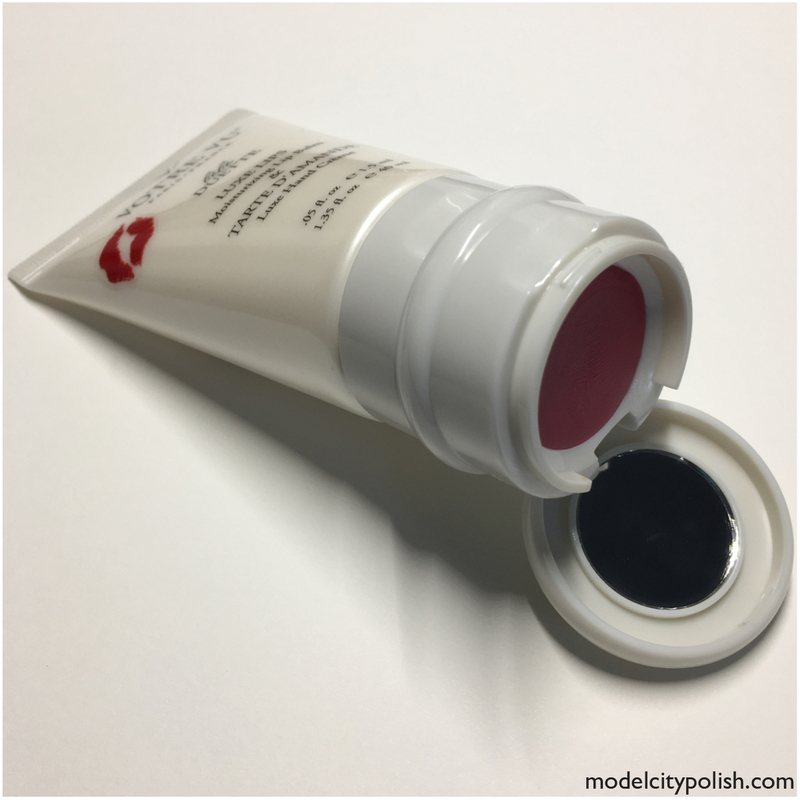 This is a moisturizing lip balm and luxe hand creme in one convenient package. You flip one cap you get a great hand balm with an amazing scent, I have been using the sweet almond coconut scent, and then flip another cap for a hand lip balm and mirror. How awesome is that?!?! The hand creme is a mix of sunflower, grape seed, and jojoba oils for deep nourishing, moisturizing and healing aloe, and wheat proteins. The creme is lightly scented but noticeable hours after applying. This creme also has UVA/UVB protectants so it is great for everyday use. 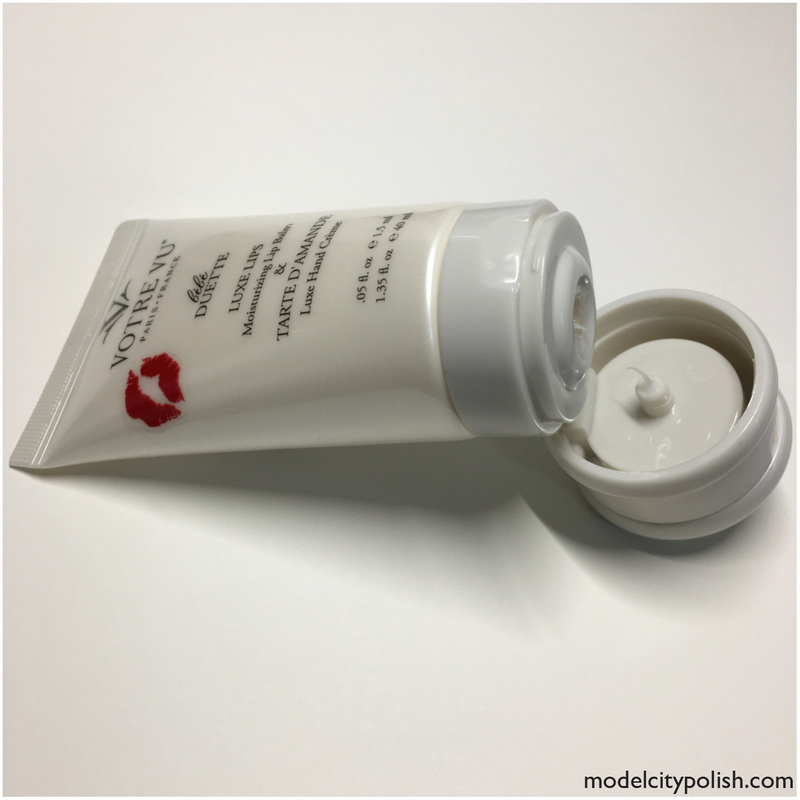 Overall I am loving this creme and have been using it daily. The lip balm is a mix of coconut oil, shea butter, and beeswax for a deep moisturizing without a stick feel. This doesn’t have much of a flavor which is nice and no noticeable smell. Overall I like it and is a great alternative to my traditional chapstick usage. 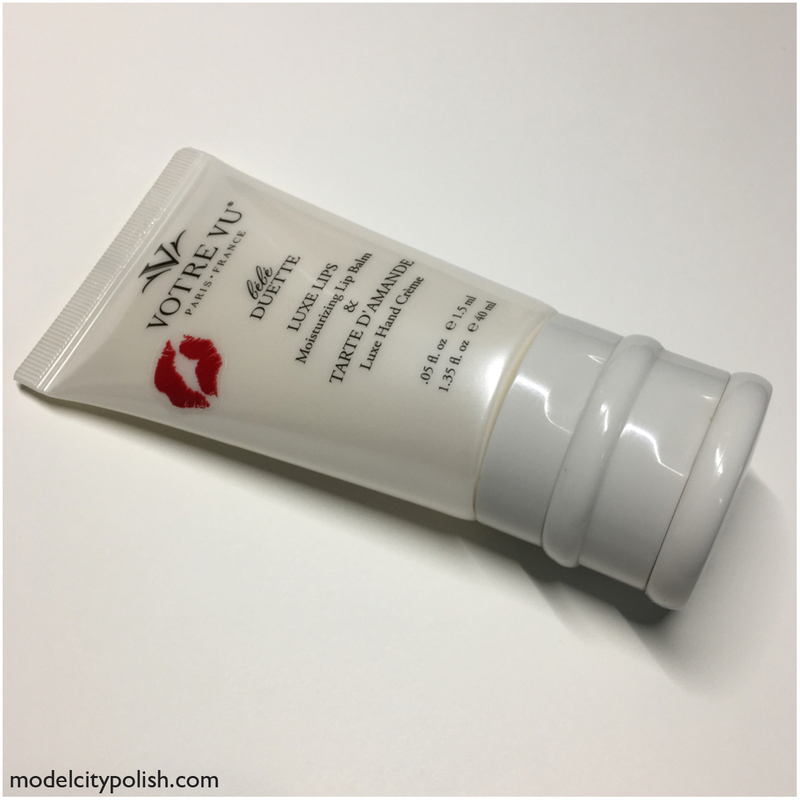 So what do you guys think of this multi use product from Votre Vu? I love it!!! I will certainly be buying more of this handy duet, they will be perfect for my work desk! Please take a moment to check out all the great products Votre Vu has to offer and give them a follow on Facebook, Twitter, and Instagram for up to date info. Thank you so much for stopping by today and I will see you all again tomorrow. Ooh I loooove this! At first I thought it was a multi-use product, but it’s so cool that both products are within one package! So handy for your purse! The two in one package is just perfect. Great for your purse, travel, or at your desk. I would use this for travel but other than that, I’m not sure. Also great for the desk. Quick access to three handy items. Sounds like a really interesting product. Thanks for sharing. It is a super neat idea. I love discovering natural skincare brands, and French products are my favourite. Great that this includes a hand cream, lip balm and mirror – genius! This is the perfect desk product! I keep both hand cream and lip balm on my desk all the time, how handy would it be to have it all in one place! I totally agree! The perfect desk product for sure! I LOVE versatile things! What an ingenious idea! Me too!!! So handy for on the go!